Sitting on the Innis Mor ferry looking out at St Ann’s head. On my way to Plymoth for the Dartmoor challenge. My friend Paddy is talking on the phone to his daughter Irene who is in Kathmandu! Technology eh! Looking forward to the cycle and the weather forecast is good. 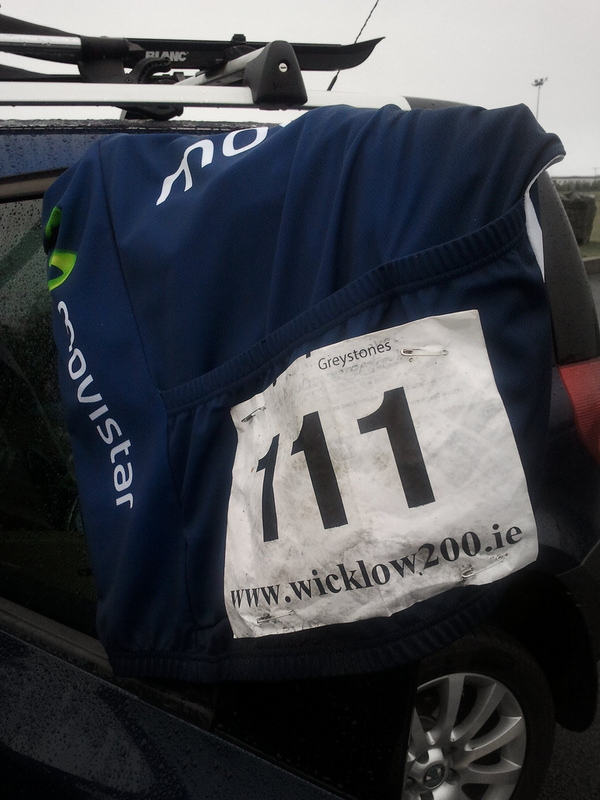 In the last two weeks I have completed the Wicklow 200 and the tour de Burren. These long sportives have meant that I have not trained during the week as much as I would like but I suppose it will help my stamina. My weight continues to creep down although a class reunion last weekend didn’t help. If I remain careful with my diet I might just get to 87kg for les etapes. Seven hours is the target! Time is running out. 6 weeks to go and 3.6Kg to lose! Training is going well and my main feeling is disappointment as my opportunities for training are almost gone. I am improving all the time and I am really enjoying it. My commitment has been incredible given that I have ben working on my own in the office. I am on call from Friday evening to Monday morning so no training this weekend. Next weekend is the Wicklow 200, followed by Burren, then Dartmoor, the ring of Kerry and finally les deux etapes! Preparation continues a pace. Yesterday I completed my sixth Wicklow 200. I arrived at 06:00 at the shoreline leisure centre and was lucky enough to meet Hugh and Brendan as I drove in. We parked up next to each other and got on the Road. My hope was to stay with them as best I could and hopefully knock 15 minutes off my time from last year as an indicator that my Goal of a Silver medial in Dartmoor is realistic. The weather started bad, then got worse and then got worse again. Making my way across the exposed Sally gap I couldn’t help but feel that a simple puncture would lead to hypothermia if I had to get off in such an exposed spot. Crosswinds then buffeted us as we skirted Blessington lake. Finally we turned off for Donard and the Treelined narrow road offered respite from the wind until we arrived at the stop in Donard. Loo, water, two cups of tea, chicken stuffing sandwich, Ricecrisy bar and back on the road- I was shivering as we pulled out but soon got comfortable on the bike. As always with Wicklow you can never predict which section will prove the most difficult. From Donard to the foot of Slieve Maan I felt fine but the Kms went by painfully slowly. I feel a headwind was to blame. Slieve maan was difficult but at least it was predictible. Off the bike at the top, run into tent for refill of water and a Power bar, back on the bike and descend– Icy cold wind hitting my arms- It caused a physical pain which was repeated on the descent of the Shay Elliot a few Kilometres later. Then it was a pleasant treelined undulating road to Rathdrum. The pace was high as we sought to get the Millage done. Stop in Rathdrrum- coffee, Chicken stuffing sandwich, Power gel and Rice crispy bar. Back on the road for the final 60km.